Perfect for your medicine cabinet. Effective for muscle and joint pains, headaches and insect bites. 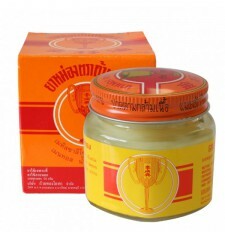 Golden cup balm is a product from Asia, invented by a Chinese who wanted to heal and relieve the people whether rich or poor. 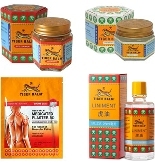 The balm is not a drug , it reduces pain such as muscle and joint pain, headaches, rheumatism, insect bites, respiratory blocked (steam inhalation) crowded the airways (chest massage), and many other problems... Issue from knowledge of Chinese medicine, this balm should always be within reach. The idea of the inventor, to make this balm, a product accessible to all is always well attended. This balm gently refreshes and revitalizes the senses whilst deeply penetrating the skin, relieving and soothing the symptoms in question. 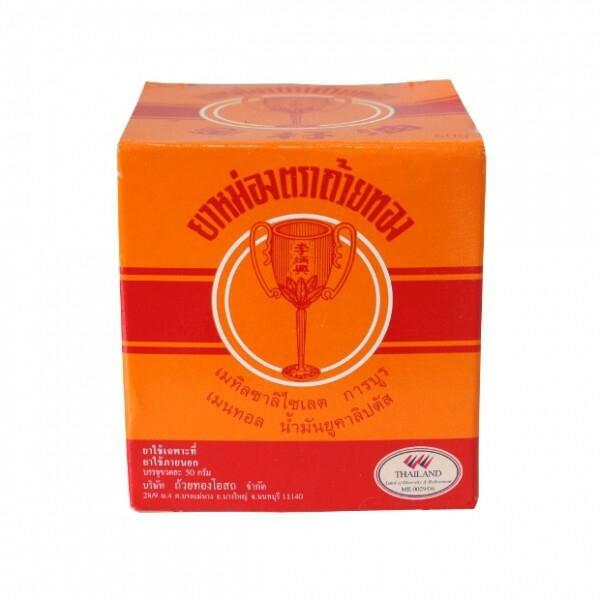 Golden Cup is known worldwide for pain relief of all kinds. It is a versatile external drugstore product. This product provides effective relief for most symptoms in case of injury, also used for headaches, rheumatism, arthritis pain, muscle strains and sprains. Golden Cup Balm with its unique formulation of herbal ingredients, derived from ancient Chinese sources, it has proven itself for nearly one hundred years and today used by millions of people in Asia. Golden Cup Balm is a concoction of ancient China, but an effective modern medicine has proven itself to thousands of people. 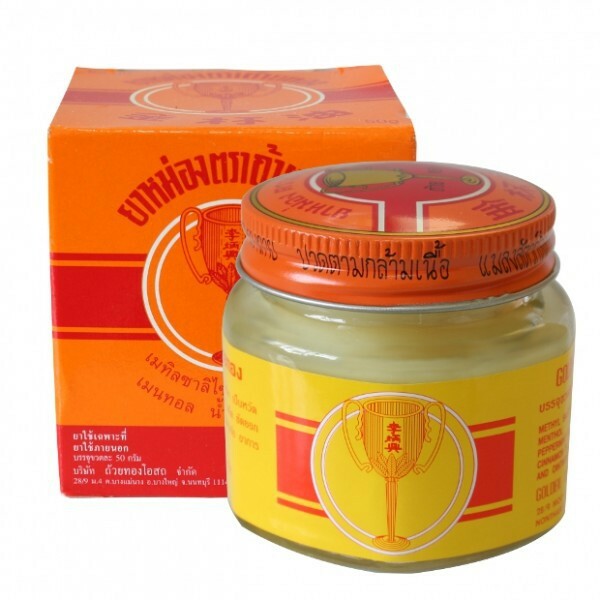 Used for muscular rheumatism, insect bites, burns, sprains, eczema, nasal decongestion, headache, rheumatism, arthritis pain, muscle tension. Soothing balm helps effective against a wide variety of colds. It could be headaches, runny nose, sore throat, cough... 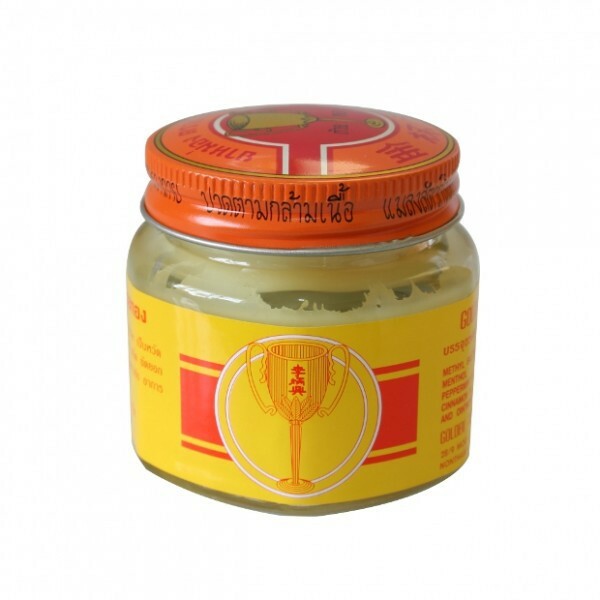 Even with the pain in muscles and joints, rheumatic diseases, arhrose and neuralgia, sciatica and lumbago, and back pain, muscle tension and sports injuries course of the Golden Cup Balm rapid and sustained scope effective. Even for something in between meals if something breaks and after exercise tweaks perfect balm. Here are the benefits of this balm and the use to be made of this balm. - Muscle and joint pain: massage the sore area thoroughly. - Headaches: Apply rubbing the temples. - Airway: Breathing vapor balm previously placed in hot water, also it can be massaged on the chest before going to sleep well. - For a complete penetration, although rub the skin to relieve pain or itching. - Avoid wounds and mucous membranes. - Do not use on pregnant women and children under 2 years. - For external use only, do not get in eyes.